Are you thinking about teaching golf? Or, maybe you’re already a golf teacher. Either way, you owe it to yourself and your students to consider the significance and importance of earning your golf teacher certification. What does certification mean to you and to a parent or student contemplating hiring you as their golf teacher? Basically, certification is a process that gives recognition to golf teachers who meet certain standards. It is a promise that the teacher will provide the quality services that he or she claims to offer. Golf teachers directly affect the lives of both children and adults. For this reason, the National Registry of Professional Golf Instructors® (NRPGI™) has sought, since it’s organization in 1999, to protect the interests of this segment of the public by setting standards and training persons as golf teachers. Request Your FREE No-Obligation Information Packet Now! Below you will find a list of frequently ask questions. If you do not see the information you are looking for please contact us by completing our Contact Form, by Email, Or Phone. How can a physical skill like golf be learned through home study? This program does not teach you a physical skill. It teaches you how to teach others a physical skill. By taking and passing the free, no-obligation qualifying aptitude test/entrance exam, you prove that you have a good understanding of golf. The program builds upon the knowledge you already have by giving you a pattern to follow for teaching in a systematic, professional manner. What do I study from? Do I need a computer? No, you DO NOT need a computer. The program is available online AND you will receive traditional books for study. You can do the entire program with a computer, books only, or a combination of both. It’s your choice. To earn your certification you must achieve a score of 70% or above for each test. All tests are open book. If you fail a test you will be given the opportunity to submit a make-up test consisting of those questions missed. If your performance on the make-up test brings the total percentage of right answers above the passing mark, we will record a grade of 70, and you continue the course. The program is self paced. 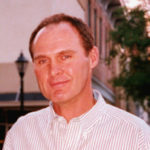 Most instructors earn certification within two or three months. Some have completed the course in one month. You can take up to two years, but it shouldn’t take that long. Does NRPGI offer placement assistance for graduates? Yes. Although we cannot guarantee you a job, we will assist you in finding one. What are the benefits of certification, and what will I receive as a member? We do not offer international shipping or ship to any freight forwarder. However, all certification requirements can be completed through e-books. What is involved in doing the home study program? How many tests are there? There are 20 lessons in the program. At the end of each lesson is a test that you take then send to us for grading. We will grade the tests and return them with helpful feedback. For some lessons you will do practice-teaching exercises at your local driving range or other suitable location with your own student (you can use the same student for the entire program). In this way you put to practical use the knowledge you have gained from your studies. How will you check my teaching skills? Do I have to go somewhere to be tested? Your performance on the test at the end of each lesson is the primary factor considered when judging your readiness to be certified. Once you are certified, though, we reserve the right to check on your teaching in person. This is at no expense to you. Your course instructor will work closely with you to ensure you are progressing satisfactorily and passing all the tests. If you have a question about your studies, you can submit it to your instructor by mail using the specially prepared Request Form or by e-mail following the same format. You can get help for other routine matters (e.g. you need additional reply envelopes, you wish to submit your change of address, etc.) by calling our toll-free membership services number during regular office hours. Will my certification be recognized by prospective employers and students? Yes. Employers and students recognize your NRPGI credential because it is through an accredited program. Also, NRPGI is a United States Golf Association Member in Good Standing. Can I use my certification to get a job at a golf facility? Yes. Many of our members are working at country clubs, resorts, and other facilities. Certification shows a prospective employer that you are serious about golf and that you want to be the best at what you do. What do others have to say about this instruction program? Read testimonials and comments from colleagues and members. Are there any extras to pay for? Definitely not! With the NRPGI there are no hidden charges. Once certified you are only obligated to pay yearly membership dues, which is a requirement with all certification organizations. To ensure golf teachers meet basic standards, the NRPGI produces and administers a training and certification program consisting of 267 learning objectives with training exercises. Golf teachers who successfully pass the program are authorized to identify themselves by the designation NRPGI-Certified. NRPGI-Certified golf teachers are dependable and competent educators who have agreed to abide by the organization’s Code of Ethics at all times. 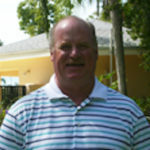 For a golf teacher certified by the NRPGI, the road to certification was both challenging and rewarding. So, as you can see, when it comes to providing parents and students with the best value, certification is the golf teacher’s best friend. Golf teachers throughout the United States and other countries are finding that with the NRPGI they always receive individualized, person-to-person attention. You progress at your own pace. You study at home, practice the techniques with your own students at your local driving range or other suitable location and then send in your completed work for grading. The registry will spend as much time as is necessary to help you develop your golf teaching technique. Jump start your golf teacher career today! 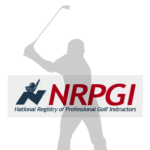 "NRPGI™" is a trademark and "National Registry of Professional Golf Instructors®" is a registered trademark in the US Patent and Trademark Office.